Marian Dennis – Digital First Media Campers could be seen lining up at Camp Cadet Thursday as they took part in various police-related activities planned throughout the week. Marian Dennis – Digital First Media Cadets aimed at their targets during a marksmanship exercise Thursday at Camp Cadet. 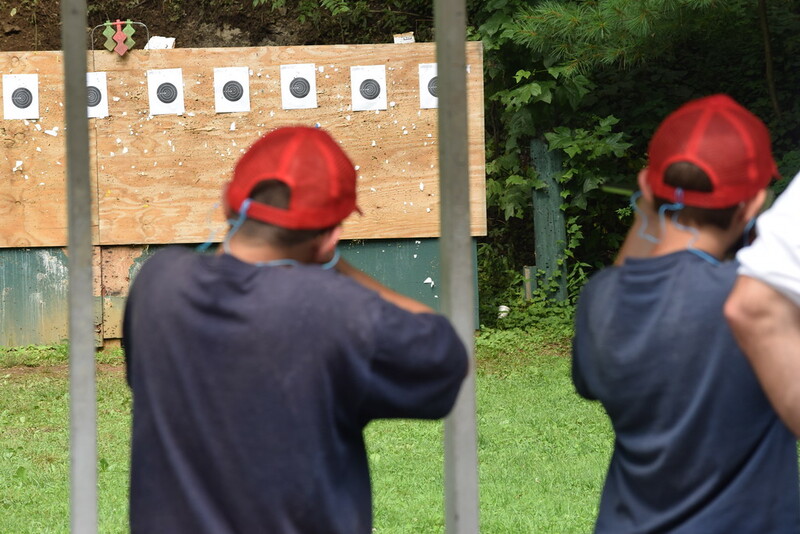 Marian Dennis – Digital First Media Campers at Camp Cadet, held by State Police Troop L, took aim at targets set up for practice. 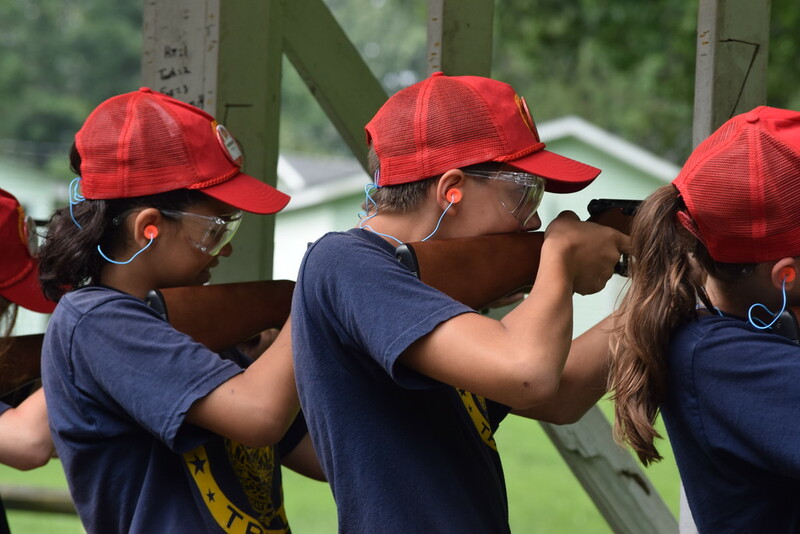 Marksmanship was one of many activities campers got to experience during the week-long camp. 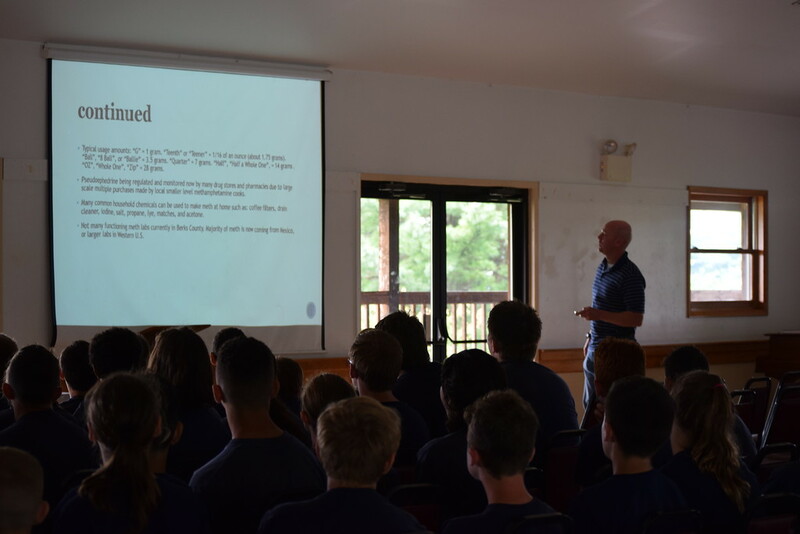 Marian Dennis – Digital First Media Campers listened attentively Thursday during a presentation on drugs at Camp Cadet, a week-long program hosted by State Police Troop L.
Marian Dennis – Digital First Media Kids had a chance to try horseback riding during Camp Cadet this week. The week-long camp, hosted by State Police Troop L, gave kids the opportunity to experience activities related to police work. Marian Dennis – Digital First Media Cadets lined up as they listened to their instructor on Thursday at Camp Cadet. 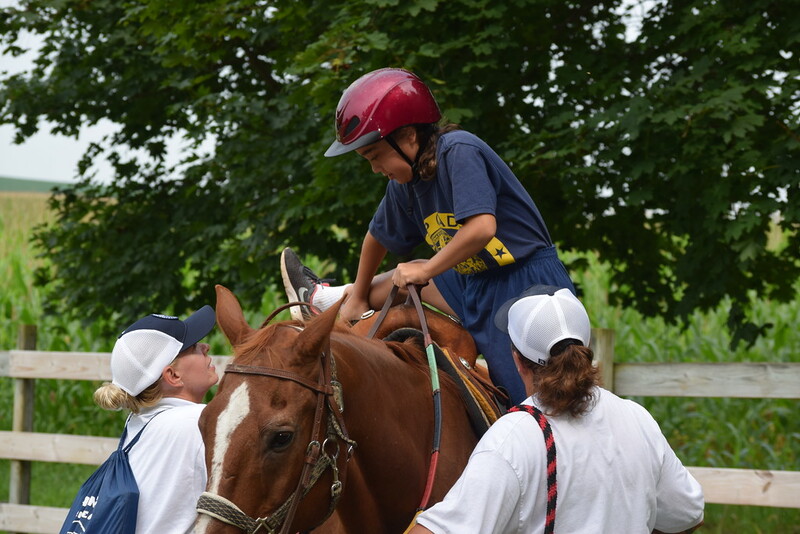 The week-long camp held by State Police Troop L exposes kids to a variety of activities related to police work. 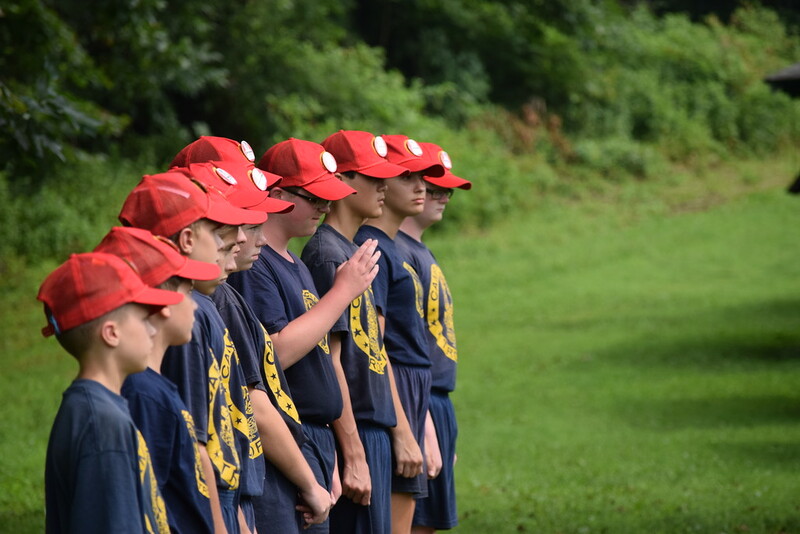 Kids got a taste of police work this week as they took part in State Police’s Camp Cadet.